Are all patients adjusted in the same manner? No. The doctor will evaluate each person’s spinal or extremity complaint and develop an individual care plan according to the patient’s needs. Is it safe to see a chiropractor after having back surgery? Yes. People have back surgery to prevent further disc or nerve degeneration. 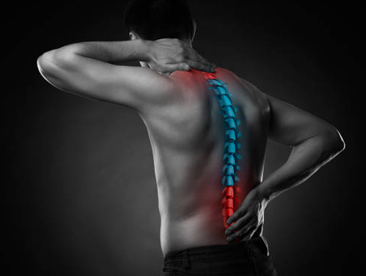 Back surgery does not stop the original symptoms from re-occurring. Chiropractic treatments may prevent repeated back surgeries and or avoid back surgery in the first place. No. The chiropractor uses a specific force that is applied in a particular direction to the affected joint. When you adjust yourself, you have no way of knowing which way the joint is misaligned. The popping sensation you hear does not indicate a proper alignment of the affected vertebral segment. Do I have any way of knowing if a subluxation is present? Yes and No. At times, subluxations symptoms take a long time to appear. It really depends on your overall health and bodily functions. This is the reason why it is important to get regular spinal screening throughout your lifetime. Regular spinal checkups can get you to one step closer to achieving optimal health. Chiropractic provides a natural non-surgical treatment to the entire spine and extremities to enable the body to function as efficiently as possible before disease develops. The goal of chiropractic is to eliminate any interference in the spinal column, thus allowing the bones, nerves, muscles, tendons, and ligaments to function properly. Is Chiropractic considered a safe form of treatment? Yes. The treatment has had an overall good record of being safe. There have been rare serious complications such as stroke, but whether spinal manipulation causes these factors is unclear. Safety remains the monumental focus of ongoing research. Is chiropractic treatment safe for children? Yes. Since significant trauma can occur at birth, parents bring their newborn or children to check for subluxations. Many childhood health issues can emerge throughout adulthood that could have been prevented by receiving chiropractic care early. 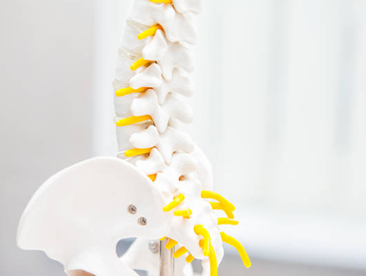 Osteopaths use a long lever system where they use a non-specific system to fix more than one segment at the same time. Chiropractors use a short lever system where they use specific spinal manipulations to correct the spine in order to appropriately achieve optimal health. Osteopaths are allowed to do surgery and administer drugs worldwide. However, in certain states chiropractors are starting to perform minor surgeries and administer certain drugs as well. Why do chiropractors take or order X-rays? Chiropractors order or take x-rays to reveal internal biomechanical alterations and search for possible underlying diseases or disorders of the spine or extremities such as spinal disc or facet degeneration, space occupying lesions, arthritis, congenital or abnormal anomalies, disc disorders, bone spurs, benign conditions, and metastatic conditions. X-rays are the key to providing corrective alignment in order to achieve maximal health benefits.